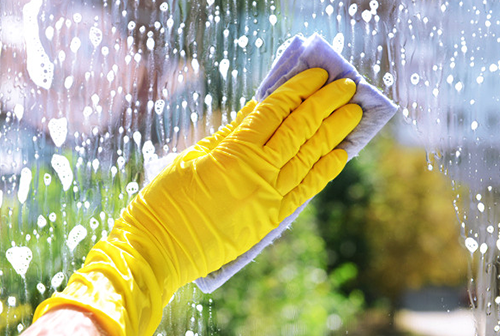 Dirty Dozen Cleaning Services can handle your entire commercial and residential window cleaning needs. From multi-level buildings to shopping malls, no job is too big or small. Our proficient cleaners are trained on contemporary cleaning techniques for large commercial projects and have plethora of experience. We can finish any job safely and competently. Our current clients know that when they call us, they will get a high quality job done every time. Professional window cleaning can make a major difference on your property’s appearance. We are trained to take out dirt, paint and cement off windows without scratching the glass. Give us a call today and one of our representatives will come out to discuss your window cleaning needs.